This time of year we find ourselves surrounded by family and friends as we gather to celebrate the holidays. We warm our hearts and bellies with the season’s many pleasures, and on such joyous occasions there are plenty of reasons to smile from ear to ear. And, with so many smiles being shared, the holiday season serves as an excellent opportunity to help your friends and family keep their pearly whites in top shape by giving the best gift of all: a healthy, beautiful smile. Of course, here at the EDA we’re big believers that the best gifts are shared experiences, which never end up in a landfill and encourage us to enjoy our communities and the great outdoors. But when you do choose to buy, why not make it count? 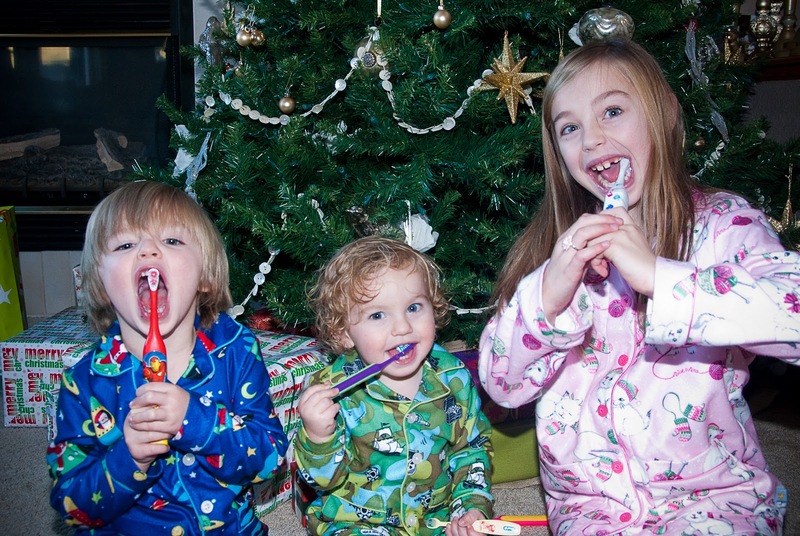 Here are some oral-health themed gifts that will keep your loved ones smiling all year long! Nurture a healthy smile by upgrading their toothbrush. It sounds simple and maybe a little boring…but hear us out! Nearly 450 million plastic toothbrushes end up in landfills each year, adding unnecessary waste to already overburdened landfills. Take a look at some of the eco-friendly toothbrushes on the market like the Bogo Brush or Preserve brushes, which make great stocking stuffers. If you’re into the more high-tech option, go for an electric toothbrush, which can remove up to 11% more plaque than manual toothbrushes. Fill their stockings with organic, green goodies. Consider that everything we put in, on and around our mouths can have an effect on our overall health. Help your friends and family get started on the right path with small items like organic lip balm from Saffron Rouge or Pangea Organics, natural mouth rinse and dental floss, and triclosan-free toothpaste. If you’re shopping for a sweet tooth, satisfy their cravings with xylitol-sweetened treats, which can actually benefit teeth and fight against oral disease! If they’ll only settle for the “real” deal, go for organic, fair-trade chocolates and naturally sweetened treats. Give the gift of whitening. Many dental offices offer discounts on in-office whitening this time of year. Since teeth whitening works best after a cleaning appointment, you’ll remind your loved ones to schedule a regular cleaning and help them start the year off with a brighter, healthier looking smile! Check our online directory for an eco-friendly dentist near you. Looking for a green choice? Ask your dental office if they carry Sinsational Smile, the first EDA Accepted in-office teeth whitening system. Electric toothbrushes can completely change the way you brush your teeth! Plus, they are a great way to ensure your children are learning how to properly brush their teeth and get a clean smile every night.